Like most “overnight success stories” CampusKnot’s is about five years running—although the company just began expanding to states neighboring Mississippi in late 2017, in December 2017 they closed $500,000 of startup funding, which took their total private investment raised as a company to $700,000. CampusKnot also has a STEP grant pending from the Mississippi Development Authority (for international expansion) and has been invited to apply in 2018 for $100,000 through the Mississippi Seed Fund administered by Innovate Mississippi. Rahul Gopal, co-founder and CEO of U.S. operations, says this funding now gives them the ability to scale a company his team has been working on for years. Perceus Mody (right). Photo by Beth Wynn courtesy Mississippi State University. 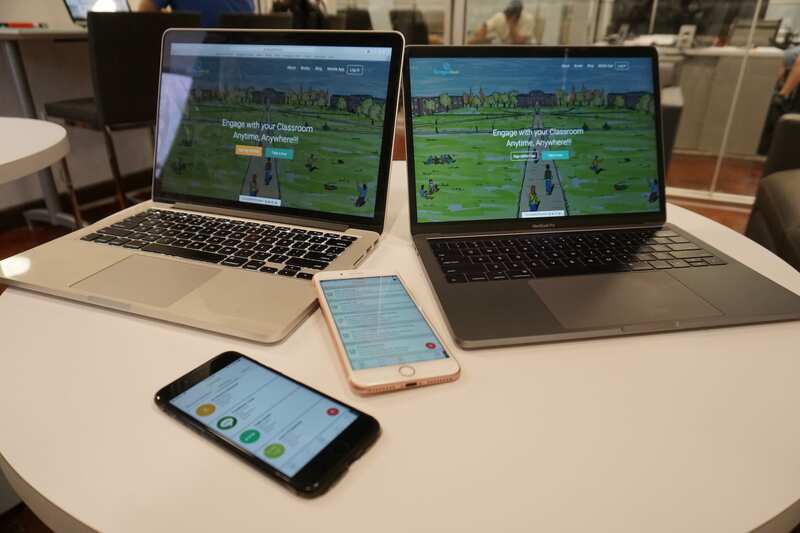 Gopal says that CampusKnot purposefully resembles familiar social media and cloud tools—LinkedIn, GroupMe, Google Drive—so that there’s a relatively shallow learning curve for professors and students. The goal is to be easy for professors to adopt (even if they initially require some one-on-one sales effort) and popular with students so that, eventually, entire campuses will license the tool and sales can be more institutional. Gopal notes that while the tool works fine for small classes, it’s invaluable for large survey classes where interaction between the professors and students tends to be limited. From 2012-2015, Gopal says their team spent a lot of time in research and development, leaning on the Mississippi State eCenter for survival. 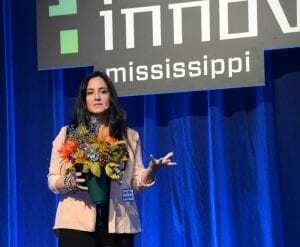 They also got advice from Innovate Mississippi in that timeframe and opportunities to pitch in contests and conferences. In 2015, CampusKnot closed a $100,000 investment from a private investor. That enabled them to prove the concept locally and then move their sales from Mississippi State University to a few major campuses in Mississippi, Alabama and Louisiana. Gopal says the new funding will enable them to tackle a national sales strategy in 2018. The company recently moved into the Greater Starkville Development Partnership‘s office space for startups in downtown Starkville, allowing them to ramp up operations and begin hiring. 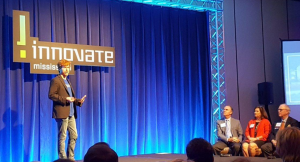 Gopal recounts that the work with Innovate Mississippi was invaluable both for the experience they got pitching to investors and conferences—and the reality check they got in 2015 when they realized they weren’t ready for the Seed Fund yet. Gopal also notes that CampusKnot is determined to remain a Mississippi company, and that it’s incorporated as a Mississippi entity very purposely. His advice to up-and-coming entrepreneurs is to get out of your head and take advantage of resources like Innovate Mississippi, MDA, the MSU eCenter, all of which can help you figure out how to start. Then the trick is simple… don’t stop.